Thread Magic cube. Thread conditioner. 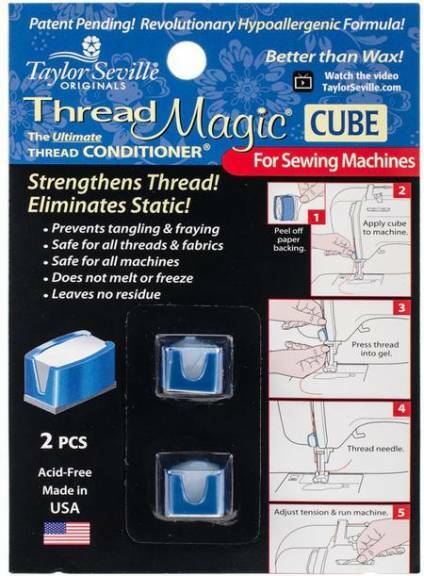 Strengthens thread & eliminates static. Prevents tangling & fraying. Safe for all threads & fabrics.